One person was killed when their house caught fire in the Rockport area and a woman drowned in Houston. 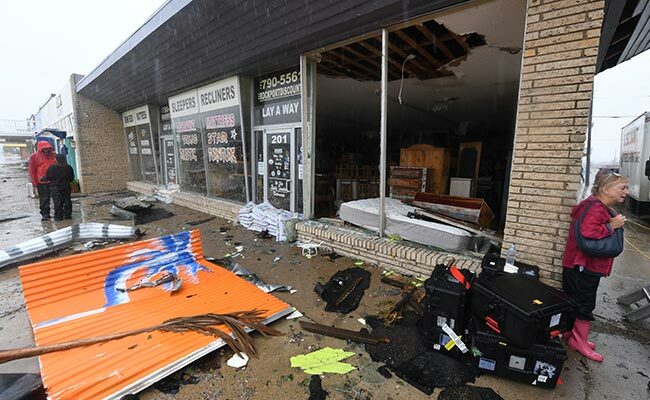 Rockport, United States: Tropical Storm Harvey lashed central Texas with torrential rains on Sunday, raising fears of "catastrophic" flooding after the megastorm -- the most powerful to hit the United States since 2005 -- left a deadly trail of devastation along the Gulf Coast. 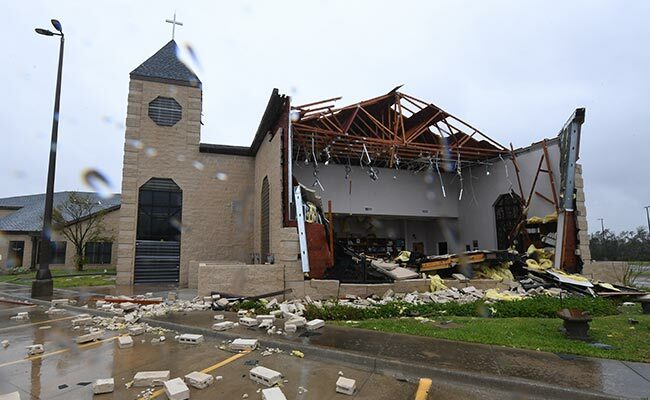 The storm has caused at least two deaths since making landfall late Friday as a Category Four hurricane, pummeling the town of Rockport outside Corpus Christi with sustained winds of 130 miles (215 kilometers) per hour, the National Hurricane Center (NHC) said. One person was killed when their house caught fire in the Rockport area, local officials said. And in Houston, a woman drowned when she left her car which had stalled in high water, local media reported citing police. "Cannot emphasize enough how much flooding there is on roadways you are endangering yourself and our first responders by being out," Houston Police Chief Art Acevedo wrote on Twitter. "Most areas of the city are being impacted by this flood waters, do not think it's safe to be driving anywhere in the city." Harvey slowly weakened as it advanced, ripping off roofs, flipping mobile homes, sending boats floating into deserted streets and leaving hundreds of thousands of people without power on the Gulf Coast, home to some of the country's most important oil refineries. The latest forecasts show Harvey hovering over the shore for the next four or five days -- a dangerous possibility given the amount of potential additional rainfall. In Houston, a city of 2.3 million, the city streets turned into fast moving rivers with officials warning residents to stay home. While most did heed advice to head to safety, some hunkered down in Corpus Christi -- a city of about 325,000, where residents were told to boil their water before using. "I was even a little bit terrified of what was going to happen. Our building was just shaking back and forth. It really got bad." 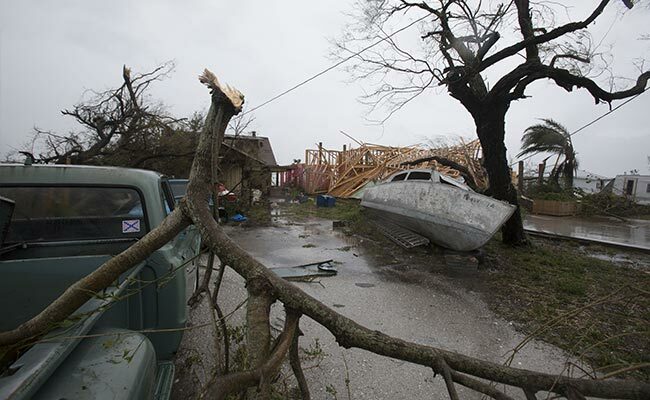 Texas Governor Greg Abbott said at least 20 inches (50 centimeters) of rain had fallen in some areas -- with another 20 or 30 inches possible. "Our primary concerns remains dramatic flooding," he told reporters. The governor visited a shelter for coastal evacuees in the state capital Austin and handed out food, describing the damage to homes and property as "sheer tragedy". "Some of them had their homes mowed down. Some of them will not have a place to return to ... It is our job to make sure they will be taken care of," he said. The NHC warned that rainfall "of this magnitude will cause catastrophic and life-threatening flooding." "This is going to be an unprecedented long and frustrating event for the state of Texas," FEMA director Brock Long told MSNBC. "The recovery from this disaster is going to be years." Emergency services were struggling to make headway as the rains continued to pour down, although the Coast Guard managed to airlift 20 people and a dog to safety. President Donald Trump, aware of the damage to George W Bush presidency's for his tardy response to Hurricane Katrina, said he was closely monitoring relief efforts from Camp David in Maryland. "We are leaving nothing to chance. City, State and Federal Govs. working great together!" he tweeted after a teleconference meeting with his cabinet to discuss the emergency operations. The storm represents the first major domestic challenge for Trump, who will visit Texas next week. In Rockport, a local school and airport were among the places to suffer major damage while homes were also burnt to the ground as power cables caught fire. There were similar scenes in Corpus Christi.